Anola Pickett is a member of SCBWI and a former ICL instructor. She’s taught writing classes at area community colleges. 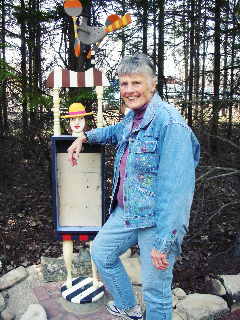 Her published work includes a chapter book, OLD ENOUGH FOR MAGIC, two books for teachers, and more than 70 stories and articles for children and adults in print and online publications. She recently completed a middle-grade historical novel set in 1889 Utah and is working on a contemporary middle-grade and a humorous picture book.